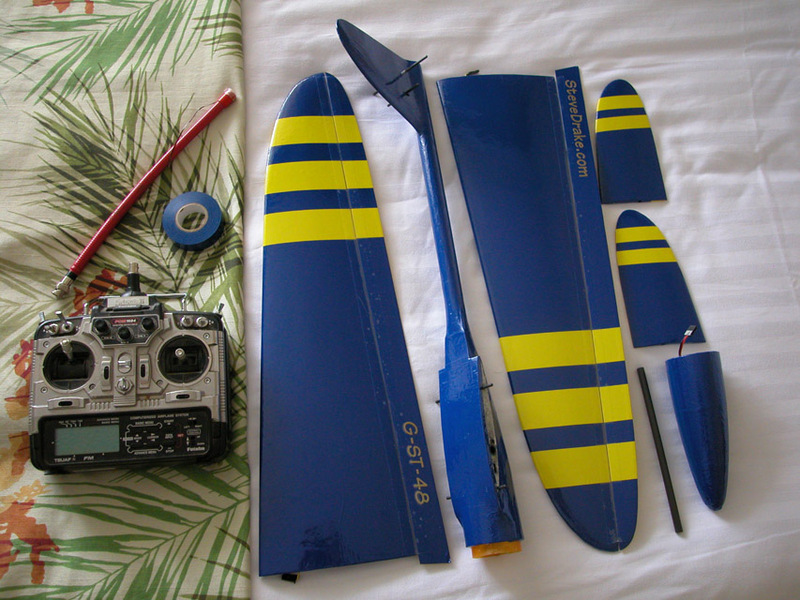 Optional nose for electric flight comes with materials such as carbon and plywood and instructions. Inspired by the The SBD 100 a light weight stunt slope plane I designed in 1984. We now can benefit from more durable EPP. The G-S-48 weighs in at 15 ounces. The G-ST-48 is 16.4 ounces. I'm pretty excited to offer this plane. I have been mainly focused on racers but have wanted to address the things I like to have in a Slope Sport plane for my area with our typical 6 to 12 MPH wind. My early designs like the SBD 100 were all about light stunt flyers. We used to compete in a "Flying Circus" of Beer can Bowling, Limbo, Loops in 5 minutes, Bottle cap spot landing, and the last event was plane to plane combat. Since the planes were cruchies it was a exciting end to a good day of flying. The G-S-48 is built in the spirit of that kind of fun but with EPP. 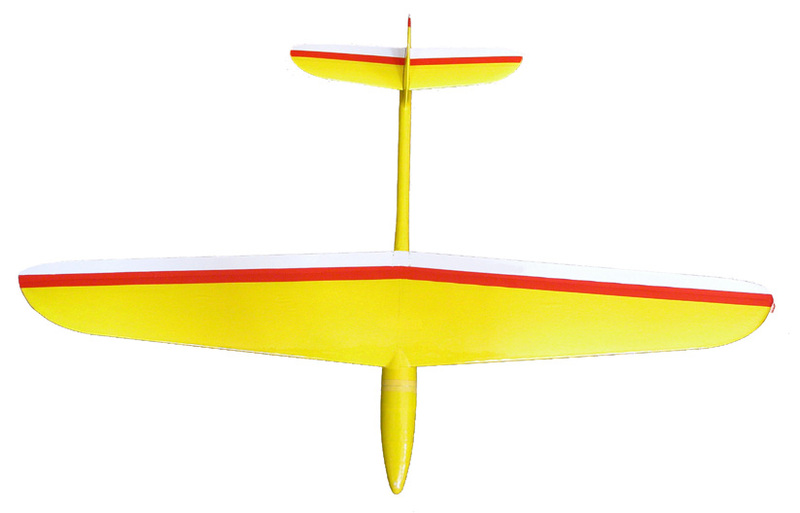 The New G-S-48 is available for $95 - It is a very complete kit and I can supply an optional 2nd nose and instructions - $15, for those who wish to have a spare nose with motor for no wind days they can plug on. Newest Travel Version the G-ST-48 completely comes apart for suitcase convenience $110 and it will accept the extra nose for Electric powered flight. 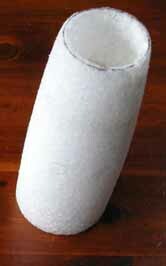 Removable nose cone - easy access to your radio gear any time. Optimum gear would be HS 56 servos and a micro stamp Berg 4 channel receiver or one of the many similar sized dual conversion receivers for long range. AAA NIMH pack is optimum but it will accept a AA pack. Designed for Flapperon wing control - allows you to slow the plane down and increase lift potential. Flying wings do not have this function. Use your + and - Snap Flap elevator mixing - Adds to the inverted capability for stunts in moderate lift. Detailed instructions with photos – Will introduce you at least one new building technique to use on other projects. Electrify it? Ask for the 2nd special nose cone and get two ways to enjoy this plane. 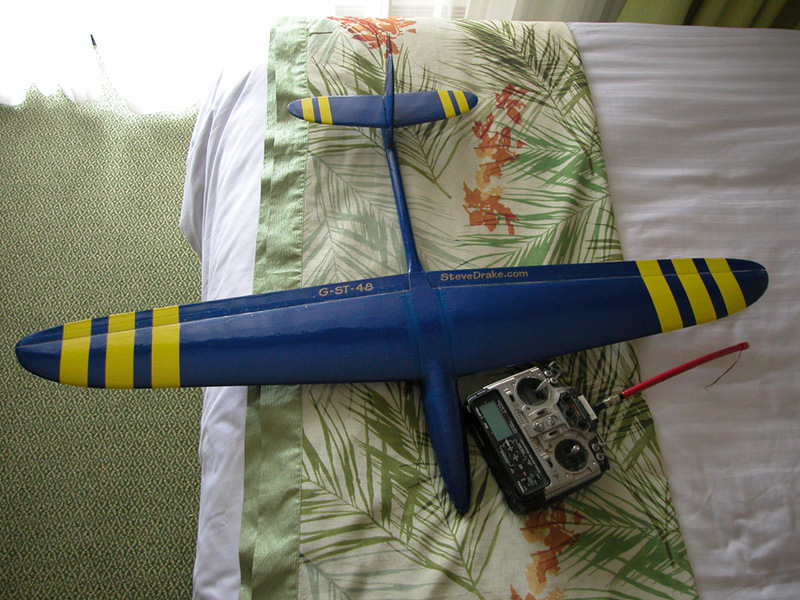 I will include a list of items to buy to setup the electric option with an Outrunner 450, folding prop with spinner, 3 cell lithium pack and speed controller. Swap noses, add a some tail weight and your in the air on those no wind mornings. 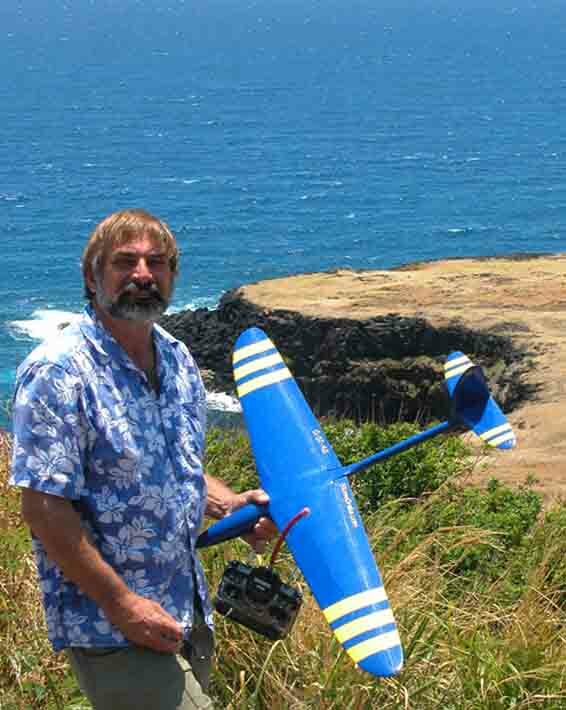 Find a thermal and turn off the motor for some clean soaring fun at the all up weight of 22 ounces and still reasonable wing loading of 10.5 ounces per square foot of wing area. Airfoil - Modified NACA design it is almost symmetrical.